You are awesome! Fantastic blog! I already like TT on FB. Thanks as always. I would love to win this gift card. I am a fan on facebook!! im already a fan on facebook. Great site!! Great Giveaway!! Thanks for a chance to win!! Pick me! Pick meee!! heheh Happy Holidays TT!! Oh what a neat giftcard for the holidays! Love this website, and would love to win!! I already like TotallyTarget on Facebook! love TT, would love to win!!! Cute card. Would be great to win. Thank you for the chance to win a gift card. Love Target and love your blog. Thanks for all your hard work in bringing it to us. Makes it so much easier for the rest of us to get great deals. 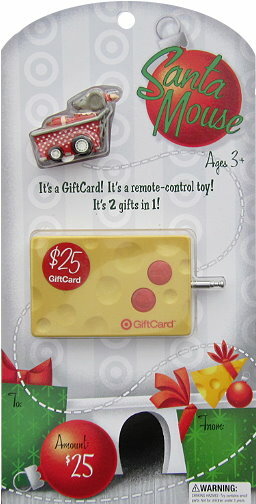 OMG i would love this giftcard! I love cheese! And i love TT! So cute! I’d love to win. Thanks! this card is so cool!! !